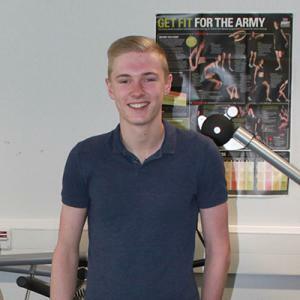 Matthew wanted to study Sports at college and was really interested in Sports Psychology and Coaching. The Level 3 Extended Diploma in Sport (Development, Coaching and Fitness) covered both of these areas of interest and many other aspects such as professional sport and performance and sport and leisure facility management. Matthew really enjoyed the course, especially the practical session and the use of the fitness suite.